Voting YES ON ISSUE 9 will give Cincinnatians the opportunity to vote on city spending for passenger rail like the streetcar or trolley. Right now, only the Cincinnati mayor and City Council members decide these things. A majority of those elected officials have already promised to spend a couple hundred million taxpayer dollars on a streetcar that we don't want and can't afford. A majority of council candidates have promised to do likewise. 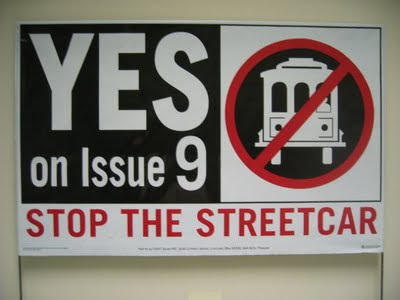 The only way for citizens to have their voices heard on the streetcar is to vote YES ON ISSUE 9. Issue 9 requires Council to get public approval before spending our money on right-of-way acquisition (buying land) or constructing improvements (laying track, hanging trolley wires) on such land. These are the most expensive components of a rail project, and occur late in the overall project schedule. Typically three or four years are required to design, plan, engineer and fund a rail project, so there's plenty of time to vote in a normal election. There are miles of subway tunnels under Cincinnati streets. It took us 50 years to pay them off, yet they've never transported a single passenger. We bought Union Terminal from bankrupt railroaders and left it vacant for 30 years. The county finally transformed it into today's Museum Center. The riverfront transit center was supposed to be the main rail station for the city. It remains largely vacant to this day, and the 3C corridor project can't even use it. Hundreds of millions of our dollars were wasted, and we have zero rails or trains to show for it. Now city leaders want the latest rail fad, a trolley. Our track record demands that we make sure people want it before putting our children in debt to pay for it. We demand a vote, and YES ON ISSUE 9 will give it to us. A vote allows our entire community to speak with one voice and go on record for or against the trolley. The current controversy should convince you that this is a worthwhile and vital step. Voting doesn't hinder progress, it facilitates it. Voters must bear the long-term costs, and live with the long-term results. Politicians are here for a few years and then move on to their next office. Therefore the people, not politicians, should have final approval. YES ON ISSUE 9 accomplishes that. 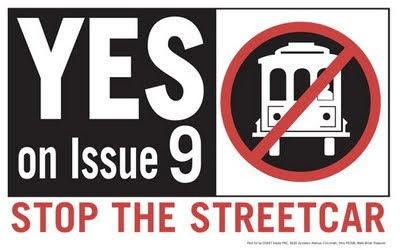 If you want the opportunity to vote on rail projects like the streetcar, then vote YES ON ISSUE 9. As the Cincinnati School Board tries to renew its claim on your property taxes, and even mulls an increase, one of its own members is two years delinquent in paying her own property taxes. How ironic is it that she chairs the CPS Finance Committee? According to the Hamilton County Auditor, Board Member Catherine Ingram has failed to pay $1,155.99 in property taxes on the house she owns at 250 Dorchester Avenue. Ingram is running for reelection, and the Hamilton County Board of Elections also lists her (p17) at that same address. Roughly 2/3 of property taxes paid in the City of Cincinnati go to fund CPS, and if you add in other school related levies, you find that about 3/4 of our property taxes go to fund public education. The rest goes to things such as the county general fund, voted levies, and parks. When asked to comment, Ingram said she dealt with some "personal issues" in 2008 which caused her to fall behind. She insists that her property taxes are currently paid in full, despite the Auditor's records to the contrary here. COAST is concerned about CPS's stewardship of our tax money, and their seemingly insatiable desire for more frequent and larger levies. If their Finance chair can't manage a $1200 tax bill on her own, how confident should voters be in her ability to chart the financial course of a half billion dollar school district? Or in the need for a levy renewal? Voters deserve to know this before they go to the polls on Tuesday. 2009-10-30 Update: Enquirer story here. In 2000, Capital Metro proposed spending $1.9 billion for a light rail system with 52 miles of track on existing streets. The referendum was narrowly defeated at the polls. In 2004, after four years of additional lobbying by Capital Metro, a commuter rail plan — to be built on pre-existing freight rail lines — won voter approval. Capital MetroRail's new line was scheduled for completion by December 2008, but the opening has been delayed indefinitely due to continued construction problems. Texas state law requires a referendum on rail projects for cities smaller than 750,000 people. 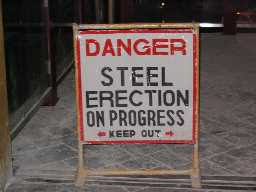 This only applies to the capitol city of Austin, and may not once the 2010 census figures are released. Nevertheless, Austin remains committed to voting. 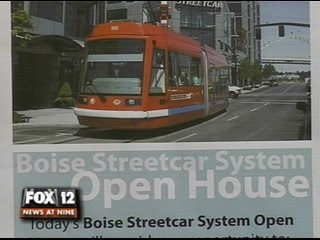 They are considering a modern streetcar, and their highest priority is the vote. The Austin Chronicle asks: Will Austinites ever get to vote on building the dang thing? Both Mayor Lee Leffingwell and Transportation Department Director Rob Spillar say they're doing everything possible to prepare for a "mobility referendum" in November 2010. To allow policy-makers and the community to decide the issue at an election, the Trans­portation Department has established an ambitious schedule of planning, environmental assessment, and preliminary engineering work. Meanwhile, different consultants will be creating a citywide Strategic Mobility Plan. They'll need to deliver the essential facts within six months. The full scope of work includes public vetting, technical proofing, accurate cost estimates, a funding plan, and more. Good, hard numbers are essential for voter confidence and future-phase federal funding. In late October 2007, former Mayor Wynn called for a rail transit referendum in November 2008. That rally failed due to lack of effective leadership, Watson's decision to prioritize CAMPO process over calling an election, Cap Metro's troubles, general political fumbling, and – most importantly – no clear funding plan. Every six months, another missed election opportunity rolls by: May 2009, November 2009, May 2010. So for those who lust after rail transit, November 2010 looms large. For years, there's been consensus that a well-conceived system with a strong funding plan would win voter endorsement. We just can't seem to call an election. Austin respects its citizens, and sees them as partners in the ongoing development of the city. That's why they view voting on the plan as more important than the plan itself. We want Cincinnati to be just as thoughtful and inclusive. Issue 9 will accomplish that. Vote YES ON ISSUE 9. This study, Federal Subsidies to Passenger Transportation produced by the USDOT and the U.S. Bureau of Transportation Statistics in 2004, lays out the figures directly. All the positive numbers in the bar chart are how much of your tax money it takes to provide 1000 miles of passenger transportation. The lone negative subsidy is how much more you pay to drive 1000 miles than it actually costs. That's right; you get charged extra for your drive to work to offset some free-loader's ride to work. "Progressers" hate automobiles and want everybody to ride trains. But as you can see, the only way that's going to happen is to soak taxpayers for at least a nickel a mile. This study was updated by the Heritage Foundation using the exact same data from Table 3 in the study for 2002. Their review, Federal Transportation Programs Shortchange Motorists found that the federal transportation program actually made a "profit" from motorists because they paid more in user fees and taxes (mostly the 18.3 cent per gallon federal fuel tax/user fee) than they received in subsidies for roads. Approximately 20 percent of fees and taxes paid into the highway trust fund by motorists were diverted to the Transit Account within the Highway Trust Fund to subsidize transit. 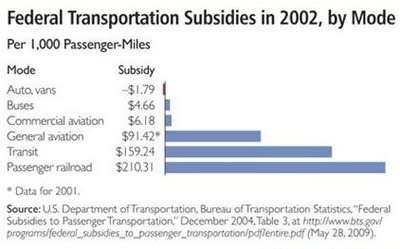 Passenger rail is the most heavily subsidized form of transportation there is. The feds may pickup a portion of the initial cost, but federal funds are strictly prohibited from being used for operating expenses. That means Cincinnatians will get stuck for the rest of the bills forever. City leaders promise to implement passenger rail whether you like it or not. Issue 9 will give you a chance to vote yes or no on it. Vote YES ON ISSUE 9. Do We Want to Become Another California? "Progressers" say California is an apocalyptic mess of soaring unemployment, mass foreclosures and political paralysis. It's dysfunctional. It's ungovernable. It's the poster child for general malaise. And they blame it all on voting. 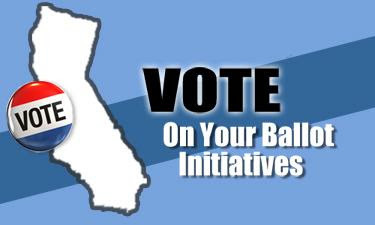 More specifically, on the ballot initiative process which California made famous. And they suggest that if you use ballot initiatives to improve your government, you might wind-up just like Californians. Well how bad would that be? This week's cover story in Time Magazine says California gave us microchips, freeways, blue jeans, tax revolts, extreme sports, energy efficiency [CA's per capita energy consumption index has gone down steadily for the last 40 years while the U.S. overall has gone up], health clubs, Google searches, Craigslist, iPhones, and the Hollywood vision of success is still the cutting edge of the American future—economically, environmentally, demographically, culturally, and maybe politically. It's the greenest and most diverse state, the most globalized in general and most Asia-oriented in particular at a time when the world is heading in all those directions. It's also an unparalleled engine of innovation, the mecca of high tech, biotech, and now cleantech. In 2008, California's wipeout economy attracted more venture capital than the rest of the nation combined. Somehow its hostile business climate has nurtured Google, Apple, Hewlett-Packard, Facebook, Twitter, Disney, Cisco, Intel, eBay, YouTube, MySpace, The Gap, and countless other companies that drive the way we live. That's exactly the kind of "Progress" we need. Of course it's just a coincidence that California also has no modern streetcars. The only places in America that do are Tacoma, Seattle, and Portland (bow to the northwest when you say that). Vote YES ON ISSUE 9. It will make us more like California. You won't often find a local government opposing a tax levy, but the Newtown Village Council has voted to do exactly that. On November's ballot is a 2.3 mil levy which would remain in effect until two new fire stations are paid off, when officials would rescind it. Council voted 5 to 1 to oppose the levy. The Enquirer reports "Newtown Village Councilman Mark Kobasuk, who made the motion to oppose the levy, said his issue isn't with the fire district's service, but with the timing. He said voters are struggling in a terrible economy, and Nov. 3 isn't the time to ask them to pay more taxes. Councilman Brian Burns, a Sharonville firefighter who's served on the Fire District board for three months, also voted to oppose the levy. He said the decision, which was made quickly during the council meeting, was "extremely difficult," but now isn't the right time to ask for more money." The video is pretty convincing evidence that Newtown has been doing more with less for quite a long time. COAST congratulates the Village of Newtown for their spirit of sacrifice in considering their citizens first, and their willingness to endure a while longer until their people can afford to upgrade. We tip our hats to this unusually responsible council. COAST has added to its list of endorsements incumbents Al Peter and Peggy Reis in their bids for re-election to the Anderson Township Board of Trustees. Peter and Reis are facing re-election challenges for the two open seats from three challengers. Because of good stewardship of Township tax resources, the Township was able to weather the cutting of funds for Sheriff’s patrols in the Townships without any reduction in service and without a tax increase. When the National Underground Railroad Freedom Center was seeking state funding in 2007, the Anderson Township Board of Trustees blazed a trail in passing a resolution opposing the wasteful spending, and so informing our elected representatives in Columbus. These two leaders have stretched Township levy funds such that only a single small supplemental operating levy for safety services was necessary since 2000. The usual 5 year levy was extended to almost 9 years through careful budgeting and spending curbs. Proposing To Impose A One-Quarter Of One Percent Transportation Infrastructure Gross Receipts Tax Which Shall Be Dedicated Specifically And Only For The Following Uses: Not Less Than 31% For Road Rehabilitation; Not More Than 15% For Road Deficiencies; 13% For Road Maintenance; 5% For Trails And Bikeways; And 36% For Transit. No Portion Of The Revenue Generated By The Transportation Infrastructure Gross Receipts Tax Shall Be Used To Build Or Operate Any Rail Transportation System Until Such A System Is Approved At A Separate Election By The Voters Of The City Of Albuquerque. Since 2000 the City has imposed a voter approved one-quarter cent Transportation Infrastructure Tax that provides funding for road rehabilitation, road maintenance, road deficiencies and transit operations. The existing Transportation Infrastructure Tax contains a sunset provision and the current tax will expire on December 31, 2009. If passed this proposal will extend the one-quarter cent tax. Hmmm. So the city of Albuquerque and its various boards & commissions may not spend any of these monies on any rail transportation (e.g. streetcar or trolley), without first subjecting the question of that expenditure to a vote of the people. Why didn't we think of that? Help Cincinnati join the growing list of cities who respect their citizens by letting them vote on rail. Vote YES ON ISSUE 9. This streetcar initiative petition is proposed by David Litster who is running for city council. The central themes of his campaign are, "Keeping a careful eye on city taxes and spending," and "Listening to the voters." He thinks the trolley plan fails both, and wants to make the city council and Mayor listen to the voters, and REQUIRE them to take instructions from the voters on this issue. Last year Cincinnati became the first city in the United States to ban traffic enforcement cameras. Help continue Cincinnati's trend-setting tradition by voting YES ON ISSUE 9. Can you help prevent City of Cincinnati property owners from getting slammed with a 2010 tax increase?? Elected officials within the city administration claim they cannot vote on their 2010 Property Tax Budget until Friday, November 13th, 2009. This is 100% completely FALSE! See the email (directly below) sent by Hamilton County Auditor Dusty Rhodes to all city officials yesterday. Recently the Hamilton County Budget Commission allowed an extension (approved by the Tax Commissioner of Ohio) so that the City of Cincinnati could present more realistic revenue projections (specifically earnings tax related) for their 2010 tax budget. The Budget Commission had not wanted to act on the previously presented more speculative numbers. Once the City had the benefit of seeing the September earnings tax collection and gaining the insights of whatever consultant had been retained new projections were shared, the Budget Commission promptly approved the tax budget. City Council is now in a position to also promptly approve it. There is no requirement that Cincinnati City Council wait 30 days to act. Rather, Cincinnati City Council must act within 30 days. Now, please read the article from the October 21, 2009 edition of the Cincinnati Enquirer which will provide you additional background information. It’s simple. Some members of the city administration are trying to hide behind the November 3rd, 2009 General Election as “cover” - not casting a public vote themselves until after all Cincinnati voters have already cast their vote for Mayor and Council! There are four City Council incumbents who have already voiced their support of continuing the Property Tax Rollback. Those Councilmembers are: Jeff Berding, Chris Bortz, Leslie Ghiz and Chris Monzel. To Councilmembers Berding, Bortz, Ghiz and Monzel, we say thank you!! Ask them to (at the very least) put the Property Tax Rollback on the Monday, October 26th Finance Committee meeting and the Wednesday, October 28th City Council meeting. If they don’t, Cincinnati Property Owners (residential AND commercial alike) will not know their public servants’ stance on this issue until AFTER casting their vote in the November 3rd General Election. If you have any questions, you may contact me at my contact information below. Prompted by liberal democrat Governor Ted Strickland, the equally liberal democrat House of Representatives voted on Wednesday to increase income tax rates for Ohio residents. The drive for the tax increase was spurred by decades of massive overspending by state lawmakers, which they could not stem even in the wake of Ohio’s declining recessionary revenues. 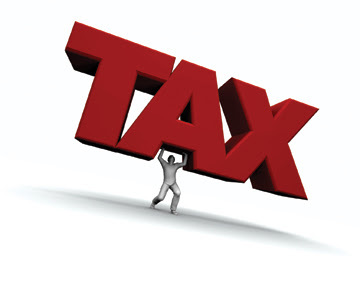 Read about the tax hike here. Faced with the choice of either finally reforming Ohio’s bloated bureaucracy or raising taxes, Governor Strickland has followed the failed lead of former Governor Bob Taft and elected for a massive tax increase. The liberal democrats in the Ohio House of Representatives have dutifully gone along with the demand for more revenue. Voting in favor of the disappointing tax increase were Denise Driehaus, Tyrone Yates, Dale Mallory, and Connie Pillich. Even worse, Governor Strickland and compliant legislators have lied about increasing Ohio’s taxes, saying that because they are delaying (repealing) a scheduled tax decrease, they are in fact keeping taxes the same. These people are without shame! Let’s remember their treachery when the time comes. Also, “Yes on 9” signs are available for your yards. Call Mark Miller (513-842-7730) to get a sign or to volunteer to place signs on evenings and weekends. This position is for indoor poll workers on Election Day, Tuesday, November 3, 2009. Polls are open from 6:30 a.m. - 7:30 p.m.
New workers are required to attend a 4-hr training session to prepare for Election Day. Poll Workers are compensated for their time. 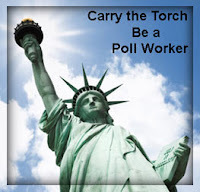 Currently, the Republican Poll Worker coordinator reports that he needs approximately 39 Poll Workers in the County and 35 Poll Workers in the City of Cincinnati. Working as a Poll Worker on Election Day is a wonderful way to fulfill your civic responsibility and enjoy being an integral part of the elections process at the same time! The integrity of the elections process is vital to our community and the role of the Poll Worker is a critical one. To speak with the Republican Poll Worker coordinator, Mike Schrader, please call 513-632-7042. For general information on being a Poll Worker or for any other questions, call Deputy Director Amy Searcy at 513-632-7077. "It's just a coincidence," say City officials about delaying the vote on a property tax increase until after the November 3 election. Councilmember Chris Monzel calls it a deceptive "November surprise," according to this Enquirer story. Give them your financial support, and be sure to vote only for these candidates who have promised to protect your pocketbooks. See other COAST endorsements here. When the going gets tough, the tough get going. And while the rest of the city was dealing with the greatest economic crisis since the great depression, our feckless leader was GONE! A regular Carmen Sandiego, he popped up in Munich, Japan, Toronto, and even Portland, of all places. While everybody else had their travel restricted, the mayor found "outside sources" to avoid using city funds. Each of those is a gift that must be disclosed under state ethics rules. Apparently Mayor Mallory was too busy to do that. Today, Mark Miller, COAST's treasurer filed a Complaint with the Ohio Ethcis Commisison over the failure of Mayor Mark Mallory to file required disclosures with the Ohio Ethics Commission. The undisclosed items included travel, tickets to the Macy's Music Festical, tickets to the Reds Opening Day and cell phone reimbursement. "As we see it, Governor Bob Taft was charged and convicted for much less," said COAST Chairman Jason Gloyd. "These pernicious and unethical practices must be fully and properly disclosed for the voters to decide who should lead the City for the coming four years. The failure to complete the disclosure forms property fails to disclose those seeking favor with the Mayor." A copy of the Complaint form and attachments are here. 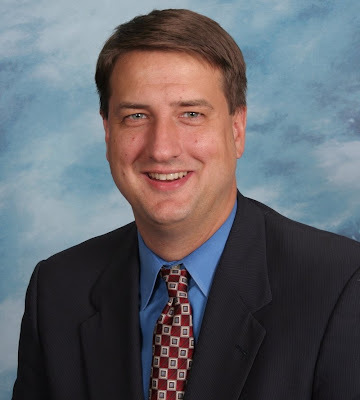 Former Cincinnati City Councilmember and Hamilton County Commissioner Phil Heimlich has recently signed to become a commentator on WXIX television and has launched his own blog, both focusing on politics in Cincinnati, Ohio and the nation. During his public service lasting more than a decade, Heimlich was consistently a voice for lower taxes and limited government. 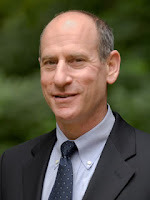 “COAST is thrilled that his voice is a part of the public policy debate once again!” said Jason Gloyd, COAST Chairman. Link to Phil’s commentaries here. 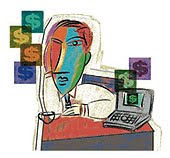 Sign up for Phil’s commentaries via e-mail here. Heimlich’s recent video commentaries have addressed “Congress’ Pork Engine,” “Lawmakers Enjoy a Buckeye Perk,” and “Leaving Children Behind” focusing on tax and spending issues. In a City hungering for real leadership and direction, COAST heartily endorses Brad Wenstrup for Mayor. He's no stranger to tough assignments and has the solutions that Cincinnati desperately needs. This change is long overdue. With 13 of 19 Council candidates supporting the Trolley, and most refusing to sign the COAST Pledge against raising taxes, COAST strongly endorses Chris Monzel and Charlie Winburn. It also likes newcomers Amy Murray, LaMarque Ward, and George Zamary. For the first time in many years, two candidates offer a real alternative to the seemingly endless irresponsible taxing and spending ways of the Cincinnati Board of Educaiton, COAST strongly endorses John Banner and Chris McDowell for Board of Education. COAST urges “YES” votes on Cincinnati Issues 8 (Water Works Charter Amendment) and 9 (Trolley Charter Amendment). Get an Issue 9 sign for your yard by calling or emailing Mark Miller (842-7730). On Issue 3 (Casino Constitutional Amendment), COAST has not taken a position, but desires to educate voters that this issue will grant an exclusive casino franchise to four pieces of property in Ohio, already owned by two casino developers. COAST encourages voters to understand this ballot issue does not generally allow gambling in Ohio, but is aimed at benefiting these two corporate gambling interests exclusively and perpetually. Why are limited government conservatives so adamantly opposed to government-funded “arts?” Well, first off, there is plenty of private money funding “arts” today, from Rock and Roll, to Rap, Hip-Hop, Jazz, and Classical, from Art Museums to the Opera, Ballet and Symphony. And there is plenty of public money flowing into the coffers of performing artists of all types. But even worse, once politicians award tax money to “artists,” invariably the “artists” become mouthpieces for the politians funding them. It’s just human nature that whoever pays the piper calls the tune. Thus, these “artists” become tax-funded advocates for positions COASTers typically oppose (e.g., greater government spending. As an example of this latter evil, look no further than the federally-funded NEA’s attempts to use taxpayer funded art to advance the Democrat political agenda. ‘nuf said on that topic. The mainstream media refuses to tell you the truth before the November elections, but COAST will. As surely as the sun rises in the morning and sets in the evening, the confluence of continued government over-spending, declining tax revenues and persistent denial and poor projections, will work this fall and winter to finally force the hands of our City, County and State leaders to either (finally) cut spending or raise taxes. And with liberal, tax-and-spend democrats firmly in control at each level of government we know which choice they will make. The City of Cincinnati is facing a massive $51 million deficit this fall, and the City Manager acknowledges that the first place the City will look to close that gap after the fall elections is enhanced revenue. Prime candidates to raise major bucks for the City: earnings tax increase, new trash collection tax, and eliminating the property tax rollback pushed first by then-Council member Phil Heimlich and since then by Chris Monzel. The County has spent itself into a tax-increase corner. With massive spending from the Stadium fund for the Banks, declining sales tax revenues, and rob-Peter-to-delay-hard-choices decision-making by our liberal democrat Commissioners Portune and Pepper, eliminating the stadium property tax rollback looks like a safe bet. If so, Portune and Pepper will break solemn pledges made to the taxpayers when the stadium tax was passed, a promise both reiterated in their election campaigns. Due to Governor Strickland’s persistent failure to cut spending (following in the footsteps of dramatically failed Governor Bob Taft), the State’s fiscal picture was already bleak. And that was before the Ohio Supreme Court ruled that slots at racetracks could be subject to referendum. As a result, our spend-thrift Governor opted to eliminate the schedule income tax cut in 2010, and then denied it was a tax increase to boot. So, hold onto your seats folks, it is going to be a wild descent into tax-and-spend nirvana. Oh my, COAST is more relevant than ever before. COAST observes that the fiscal excesses under George Bush, Bill Clinton and George W. Bush seemed to be inexplicably without economic consequence. 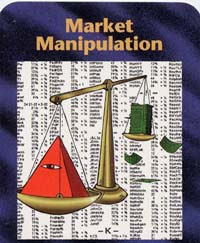 However, the government’s manipulation of the economy and financial markets finally came home to roost in September 2008. Yes, Virginia, the laws of economics are laws, not guidelines. Now, economists warn sternly that the economic policies of this administration are not without consequence either. The worst is yet to come. Read it here. In the midst of the most massive budget crisis in recent history, the City administration daily spends monies planning for a $219 million trolley system that will likely never be built. Engineering costs typically consume about 10% of a rail project budget. Is it any coincidence that this year's deficit is almost exactly equal to that figure? Council member Chris Monzel has introduced a Motion before Council to stop the foolish spending. Council, which favors trolley spending 7-2, has bottled the motion up in Committee without hearings. COAST has repeatedly been asked why it is necessary to address Council’s foolish Trolley plan with a Charter Amendment requiring a public vote on passenger rail proposals. The best argument in favor of Issue 9 that we can advance was suggested by Mayoral candidate Brad Wenstrup: 13 Council candidates have promised to build the $219 million system, despite massive public opposition to the plan. COAST points to the disasterous Riverfront Transit Center completed in 2002 at a cost of up to $60 million (depending on how expenses are calculated). It’s a subway station that no one wants for a system that will never be built. What’s worse, concurrent with the construction of the Riverfront Transit Center, the City cut off rail access to the Center with the construction of Great American Ballpark. Now, trains may go only as far as the Montgomery Inn Boathouse. This is why the Ohio Rail Development Commission has recommended that the Cincinnati station for the 3C rail line terminate at Lunken Airport. While in the Ohio House of Representatives, Jean Schmidt slavishly supported each one of Bob Taft’s massive tax increases, and proposed a few of her own. Since being in Congress, she has shown a continuing propensity to supporting big government with votes supporting massive spending programs. Thus, it was refreshing to see Schmidt loudly booed when she spoke at the massive September 4 Tea Party protest in West Chester. Remember to wrap your head with duct tape prior to viewing this clip so you can pick up the pieces when your head explodes. Tea Partiers are a bit more sophisticated than the average voter, Mrs. Schmidt. Peddle your lies elsewhere, please. "Progressers" have had a fixation recently on kiddy trains and amusement rides. That makes sense since the proposed streetcar has little if any transportation value, so it essentially winds up being an amusement ride too. That's why "Progressers" would rather talk about anything but the City's dreaded choo-choo-train plan. The streetcar is so indefensible that even "Progressers" won't endorse it. So with a tip of our conductor's hat, we dedicate this song to our friends on the other side. Including tomorrow and election day, November 3rd, there are only 20 more polling days for you to Vote YES ON ISSUE 9. Click here for extended voting hours. Councilmember Laketa Cole Disavows "Progressers"
The Cincinnati NAACP reports that Cincinnati City Council Member Laketa Cole has renounced her affiliation with Cincinnatians for Progress, the organization opposing the Issue 9 anti-boondoggle charter amendment. "This shows leadership and a respect for her own African American Community. The Cincinnati NAACP does not know why this group challenges African Americans right to petition our government. Some of the statements are racist based on the history of African Americans not having the right to vote in this country. 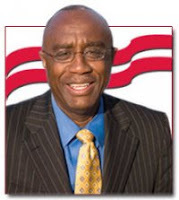 Shame on Mayor Mallory for having his name attached to such a group and website. Mayor Mallory is the chair of the group and Mayor Mallory is African American. This could explain why his public policy continues to exclude African Americans from economic contracts in Cincinnati. The Cincinnati NAACP finds this website based on its positions to stop African Americans from exercising their constitutional rights to petition our government as racist. This is what institutional racism looks like! We are concerned with any elected official who allows their name to be attached to this public policy position. It is one thing to support a $200 Million Streetcar. It is another to say the Cincinnati NAACP or African Americans do not have the right to petition our government." Cincinnatians For Progress have repeatedly cited the NAACP's "constant petition drives" as a primary reason to oppose this ballot measure. COAST, the Southwestern Ohio Green Party, and the Libertarian Party stand solidly with our brothers and sisters at the NAACP for the right to vote on matters of public policy, and to petition our government for a redress of grievances, a right which is embodied in the first amendment of the United States Constitution. Vote YES ON ISSUES 8 & 9. COASTers will meet this Saturday, October 10, 2009, at 10:00 am, at the FSSP law office at 2623 Erie Avenue. From there we will break into groups to erect "Vote YES ON ISSUE 9" signs around the city. Please plan to help so we can continue to keep the YES ON 9 message in front of voters. Anyone who would like to have a YES ON 9 placed on their property is invited to email the address and daytime phone number to Mark Miller at Treasurer@GoCOAST.org, or phone Mark at 513-842-7730. Here's a better idea. Let's knock off the cheesy gimmicks and just focus on being a good city. If government can simply catch the crooks, put out the fires, fill the potholes, pickup the trash, keep the grass mowed in the parks, not close the buildings & pools that we've already paid for, and maybe plant some flowers every once in a while, that would be a great start. And at some point in the future, when we can afford it, it might make sense to build a passenger rail transportation system. Not as some get-rich-quick "economic development" scheme, but to actually provide transportation to the public. The general public. All of them, not just the "choice" ones. When that time comes, we need to see a comprehensive plan, not a wish list. One with a dedicated source of operational funds that lasts as long as the trains. A plan which doesn't rely on liquidating productive assets like our water works or railroad for capital. A plan that citizens and neighborhoods participate in developing. When the plan's ready, we need to make sure that everybody is on-board with it. That's right, we need to vote on it. We're voting on casinos, and even slot machines at race tracks. It's perfectly reasonable to vote on passenger rail transportation and liquidation of the Water Works. Vote YES ON ISSUES 8 & 9.